Home / Tag "capital risk"
There are so many people who believe that the stock market is their key to getting rich quick and building up their retirement savings easily. The reality is the stock market, while it can be a good way to make your money grow and work for itself, can also be a good way to lose big really quickly, especially if you are inexperienced with it. As a general rule of thumb, you should prepare yourself to never see or spend the money you initially put into the stock market. The money will not necessarily be available as soon as you need it. For most people, if they make money in the stock market, it’s because they let it sit there for a very long time. You don’t just put your money into the market and hope it does well. There are other fees being charged to take into account. You must also factor in the taxes that you will owe on the entire growth, not just what you get to keep once you pull your money out. 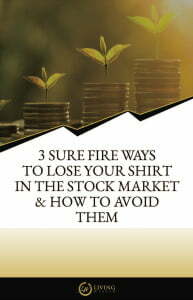 Many people simply do not understand these responsibilities and the way that money grows in the stock market, which leads to them making poor decisions. Any money you put into the market absolutely must be money you are not relying on. If you can see yourself needing it at any time in the near future, DO NOT put it into the market. You will want to let it mature for many years. They put all their eggs in one basket. Have you heard about “diversifying your portfolio?” That’s what you need to do in the stock market. Too many people pick just one stock, but if that stock fails you have nothing else to fall back on. It’s a simple element of the stock market: you need to hedge your bets, especially if you are placing money in riskier stocks. They give their money to the wrong people. It’s understandable to not want to have to deal with the responsibility of your money and stocks yourself. But you are always going to care more about your own money than another person will. If you give up control of your money, be prepared for your hired help to give up caring about it, as they are going to get paid no matter what. For more information about sustainable means of saving and growing your wealth, contact us today at Living Wealth. Request a call and the LW team will get in touch with you ASAP. 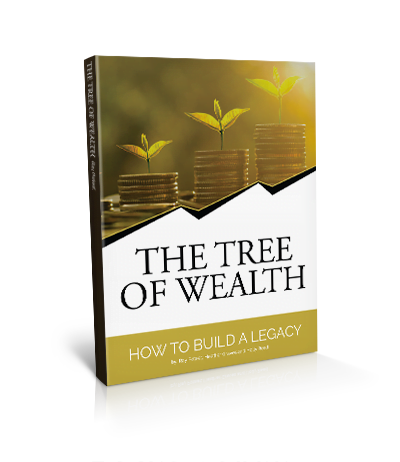 Bank on yourself, and start building your own wealth empire. At Living Wealth, we’ll guide you through the process by providing the resources and the expertise you need to be in control of your financial future and legacy. © 2016-2018 LivingWealth. All rights reserved.